This is it! The ultimate ‘New Kids on the Blog’ blog for 2018! 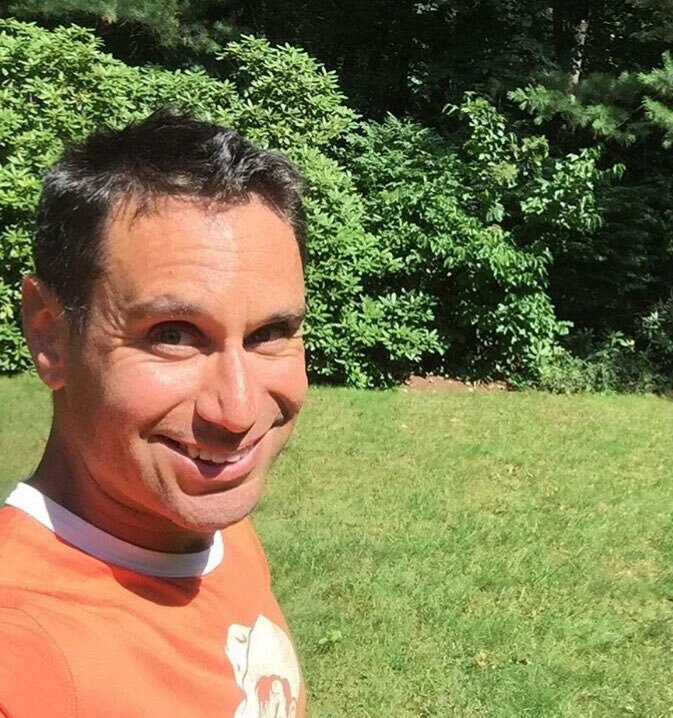 And here to help us leave behind the old and usher in the new is Richard Garino, husband, father and author of a brand new book fit to skip a New Years Eve party for. Looking forward to 2019, I’m hoping to talk to a host of new authors, introduce some new sections to the blog and, of course, most importantly, doing a great deal of writing! But more about me next year. 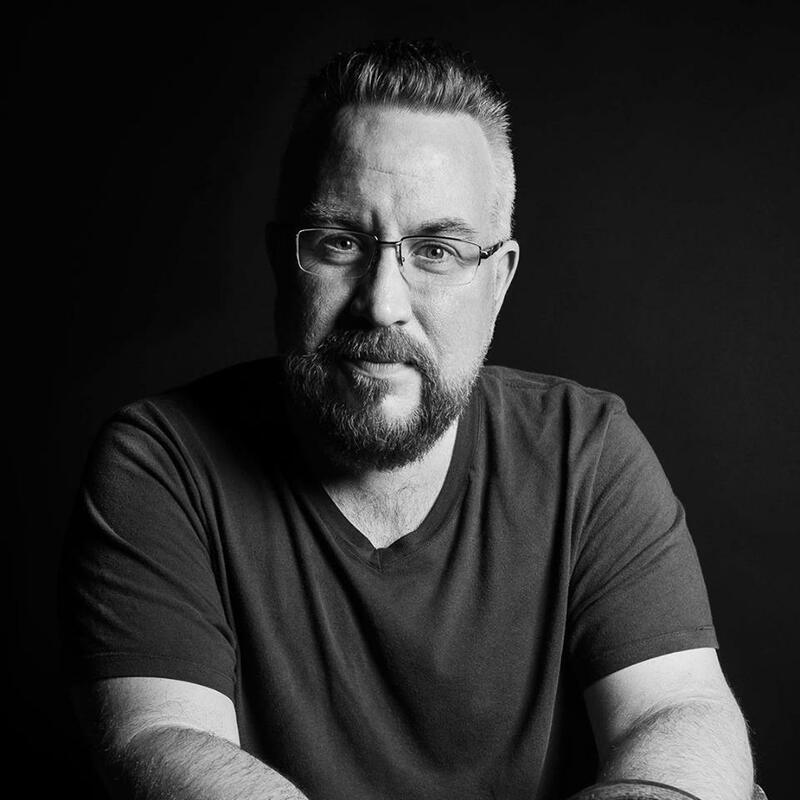 Check out my interview with Richard below and be sure to grab his books to help you start 2019 with great fanfare. Richard Garino, Author of the ‘Chaos of Souls’ series. 1. Who are you? Tell us a bit about yourself. I’ve been writing for most of my life. Since childhood, I’ve been fascinated with what The Story is, how it functions, its hidden depths, and the different masks it wears. I live in the mountains of the east coast [of the USA] with my wife, three children, and all the characters still waiting their turn to speak. I am an avid brewer of beer and strong coffee, a voracious reader, an aficionado of fine cigars and single malt scotch, and am not nearly as obsessed with video games as my wife believes me to be. 2. You are an author. Tell us about your books. One day my wife, Dorothy, mentioned to me that she would not want to meet an angel. You think you’d want to, but the reality of such a creature would be so terrifying, so awe inspiring, that you would feel insignificant. We tossed the idea back and forth, building on the concept, and found ourselves with this: what if what we think we know about angels is all wrong? What if those that fell were the good guys, and the bad guys were the angels who remained true? In essence, that is the basis of the Chaos of Souls series. Here, we have a host of angels who defied the Creator’s command and entered the world. As punishment, they were ripped apart, shattered into millions of tiny fragments, shuffled, mixed with matter and reformed. They know what they once were, but they have forgotten why they left. These are the Lethen’al. The angels who remained true have learned to enter creation, hidden in the folds of matter, and they hunt the fallen angels. They are the Lo’ademn. One in particular they call the Apostate, who was charged to guard the way back. He has grown weary of his exile, and seeks to gather their fractured souls and return them to Heaven. The Lethen’al have withstood the Apostate’s assaults for thousands of years, hidden away behind the walls of the Golden Vale. As the series begins, Angus and Arielle arrive at the Gates that separate their world from that of creation. They are Lethen’al, but their souls are almost complete, and they remember more than the others. Book 1, The Gates of Golorath, tells of how they meet and are drawn together, even though the Blademasters and their squads try to keep them apart. As they grow closer, everything around them is affected. Book 2 of the series, Angels of Perdition, has just been released, and it picks up where Gates left off. The opposition to Angus and Arielle’s union is removed, and as their marriage approaches, the parents of the Lethen’al, the E’ine, emerge from the shadows. They bring with them the threat of the Soul Chamber, and children begin to disappear. Not quite sure how to answer this one without sounding like a lunatic. Writing is a compulsion for me. I started crafting stories when I was ten, and I’ve never stopped. Everything I look at I try to describe. I look at how events come together, leading to the (seemingly) inevitable conclusion. Daydreaming is a common practice, as is playing with words. In fact, writing keeps me balanced and able to handle life. There have been times where I was too busy or preoccupied to write for long stretches of time, and I was miserable. It was hell. I don’t recommend it to anyone. As soon as I start chasing down the characters and let them tell their tales, all is well in the world. 4. What is your writers’ Achilles Heel? Learning that the book, story, or essay is never going to be as good as I want it to be, imagined it to be, or expected it to be. And, that is ok. For a long time, I kept my work in notebooks, keeping them only for myself. I’d never be as good as Milton, or Hemingway, so why bother? I think it was the acceptance of this fact that allowed me to move past it. As long as I fought it, and tried to prove it wrong, my work was stilted and stagnant. Eventually, I got fed up, said to hell with it all, and just wrote the damned story already. I wasn’t great. But it was okay. Sometimes, that’s enough. 5. Your new book, Angels of Perdition, is the second in a fantasy series in which two worlds collide, good is measured against evil and those who are hidden by shadows are not necessarily on the wrong side of the conflict. What is your personal connection to the setting and characters in your book? So, I was walking home one night from I forget where. This was way back in the day – I’m talking cassette tape in a Walkman way back. As was my norm, I was listening to Queensryche on my headphones, the song “En Force” from the “Warning” album playing. This was what I loved about listening to music; it lifts you out of yourself. Anyway, in my head, I see an elf burst from the cover of trees at night, and run through the tall grass of the plains. I ran along beside him for a while, trying to figure out who he was and why he was running. He was too fast, and I lost him. Or I got to my door. I’m not sure which. It was back in the day, after all. But, the image stuck with me. Over the years, I came to understand that it wasn’t an elf, but rather an angel, or more precisely a Lethen’al. 6. Which character(s) do you most closely associate with, and why? Rastef Rhom De’Veldrin, the Forever Man, the Son of the Apostate. In the series, he is created as the perfect vessel for his father / Creator, the Apostate Tarek. Rastef is ancient, cannot die, and as a result, has the most unusual ways of looking at things. 7. Is there something you didn’t know about a character in the first book that revealed itself to you during the writing of the second? Logan Fel’Mekrin. I did not realize he was handicapped when I wrote book 1. In the Gates of Golorath, he is present for only a handful of chapters at the end. It was not until I wrote about his trials in the Sur, the Otherworld, that I began to realize that he was unable to communicate with the other Lethen’al telepathically. This is a common ability, and being unable to do so keeps him isolated and alone. I came to understand that a lot of his arrogance and aloofness were defense mechanisms. 8. What is your favorite thing to discuss with your readers? Books. I love discussing books, and the craft of writing; everything from word choice to sentence structure, from drafting to editing and back again. Not exactly the academics of it, but rather, the metacognitive mechanics. How the plot worked, how the characters were developed, whether or not the setting was given enough consideration. 9. What is the most annoying question you get from your readers? Not many annoy me. The only one that gives me pause is “Who are your characters based off of?” To be honest, they’re not based on anyone I have ever met in reality. While each character is unique in its own right, they are sometimes hard to find. I will oftentimes have to chase them down, writing page after page before I figure out their voice. But, that discovery is part of the fun of writing. 10. What are some of the life-changing books you’ve read, and why? Foucault’s Pendulum by Umberto Eco had a tremendous impact on me. It was the first ‘interpretive history’ book I’d read, and the first to really challenge the ideas I held about the world. Throughout the book it comes through that he’s playing, having fun with symbols and history. However, the book is so well done that you get the sneaking suspicion that while reading it on the subway, maybe you should hide the fact that you’re reading it, or else they’ll know that you know. The experience changed the way I looked at the world: I realized that it really is tinged with a touch of comedy to temper the overarching tragedy; and we view the world through a filter of our own making, and that this filter can be shifted and trans-mutated through our understanding. In the end, reality really is what you make of it. Dune by Frank Herbert was another. The sweeping arc of its history, and how that history influenced the course of events in the story swept me away. In its own right, the novel can stand on its own as it tells the story of Mua’dib’s struggle for and rise to power. But even that is firmly influenced by the rest of the histories that came before it. The same holds true for Tolkien’s Lord of the Rings, with the firmness with which the story is set within the confines of a much larger mythology. Both of these prove the idea that the story you read does not need to contain every word written about it. 11. What is the one book you wish you had written, and why? The Count of Monte Cristo, by Alexandre Dumas. It’s got to be one of the greatest novels ever written. Not only does he want revenge, he’s delivered the means to contrive it. How awesome is that? 12. What is your greatest passion? So, my wife tells me it’s her. Actually, its writing with her. We’re a great team. She sees what it is I am trying to do, and helps me take it to another level entirely. One of the greatest days of my life was when she decided to help me, and join me on my little obsession train. Now that I think about it, she was right all along. 13. Do you have other talents or hobbies? I brew beer, paint, draw, am obsessed with knives and various other weapons, and am an avid reader. 14. What are you currently reading? I just finished The Immune by David Kazzie last night. I’m a bit of a post-apocalyptic junkie. I plan on starting The Axe and the Throne by M.D Ireman in the next day or two. 15. Are there any new projects in your future? What’s next for you? We’ll be releasing two novellas soon. These will be stand-alone stories, but will still take place in the Chaos universe. Both were written while working on Angels of Perdition. As I’ve mentioned, I need to sometimes chase a character down. Sometimes, it is a very long chase, and these were too good to just let go of. In addition to that, we have book 3, The Gathering of the Blades, to release in 2019, and a post-apocalyptic series that we’re working on as well. 16. And the question that everyone gets asked: Recommend one Netflix series I should watch! The Haunting of Hill House. The characters are well rounded, well thought out, and the storyline keeps you guessing. For more information about R.M. Garino, visit his website by clicking here. If you are an author or promoter of books in any capacity and would like to be featured on this blog, send me a line about yourself and your book(s) to secure your spot. 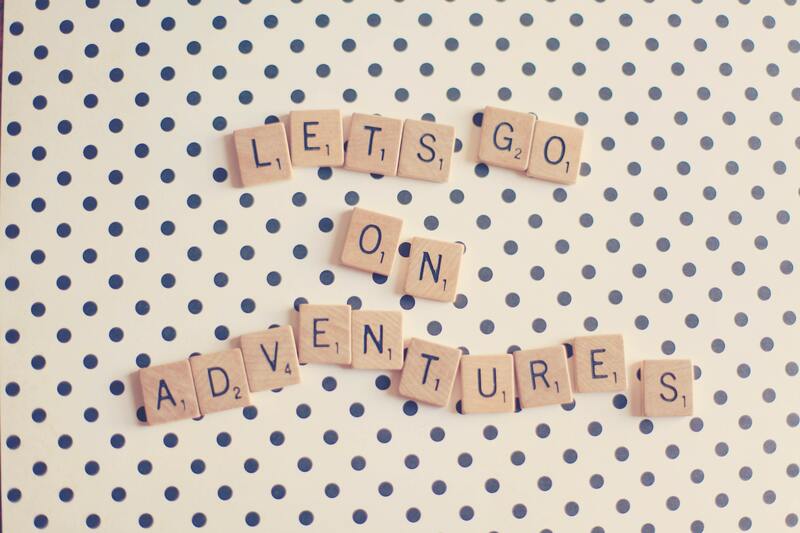 Now, go forth, be spontaneous, ring in the New Year, and be ready for the great adventure that will be 2019! Have a happy and extremely blessed 2019. Preferably filled with great books! I remember the excitement I felt when I could pick out and read my first book. It brought me so much joy. I felt like new worlds were open to me and the experience seemed miraculous. I’ve been an insatiable reader ever since and always thought being an author would be the best job ever. 1.	Who are you? Tell us a bit about yourself. I’m an Okie. I grew up in a small town and graduated from the University of Oklahoma where I met my husband. We have two sons. Our youngest was born in Scotland, our home for over seven years after which we moved to Texas and remain. 2. You are an author and the other half of a writing team. Tell us about your books. I co-author with Minette Lauren under the name Zari Reede. We have three books out. Our first book, Daisy Dukes ‘n Cowboy Boots, is a west Texas romance. When a rich banker hires handsome lawyer Nolan Anderson to find a way to acquire certain acreage, Ferina Kincaid must struggle not only to keep her ranch, but to resist the attraction she feels for Nolan. Our second book, Blinked, is a zany fantasy. Mindy Nichols’s job is to destroy the diverse, violent beings transported, or “blinked”, to Earth. Then she meets Winnalea, the first “blinked” being that didn’t viciously attack. Mindy can’t kill the sweet, helpful woman who calls herself a Brownie. To complicate matters, Mindy’s husband, Jim, has “blinked” to Winnalea’s home world. Follow them as Mindy fights to follow her conscience and stand up to her boss and Jim navigates a topsy-turvy fairytale world inhabited by Cyclops, witches and dwarves. Our third book, available for preorder, is a psychological thriller, Sins of the Sister. Private investigator Lana Madison knows her twin sister lives and will stop at nothing to find her. No matter how dangerous it is. 3. What motivates you to write? It’s inherent and a part of who I am, my identity. I’ve always had a great imagination and told stories before I could write them down. 4. What is your writers’ Achilles Heel? I dread editing, but the worst is writing blurbs. Coming up with only a few sentences to explain your book and entice readers is so difficult. 5. Your latest book, Blinked, is an urban fantasy set in the 70s. What is your personal connection to this historic period/the characters in your book? My reason for choosing the time period was two-fold. I wanted the setting to be in the past so the characters would have communication difficulties and their world would be lower tech. However, I also wanted the era to be one with which I had some familiarity. I grew up in the 70s and it was a time of turmoil and eye-opening experiences, so I thought it was fitting. 6. What is your favorite thing to discuss with your readers? I have readers?! I still get giddy about that. I’m happy discussing anything book-related. Be it my own or someone else’s. I particularly enjoy answering questions where I’m able to elaborate and share facets of the character that are not revealed in the book. 7. What is the most annoying question you get from your readers? I can’t think of one particular question, but the attitude that anyone can be an author, easy-peasy and, that when I’m busy doing my job, it isn’t looked upon as being as important bothers me. 8. What are some of the life-changing books you’ve read, and why? The Outsiders by S.E. Hinton was important because it was the first book I read by an Oklahoman author and, holy moly! The author’s a woman! I realized that yes, being a writer was possible. S.E. Hinton did it, maybe this Oklahoman girl could too. The Wizard of Oz by Baum was the first fantasy series book I read, my introduction to one of my most favorite genres. My love of it also made me more open to other genres like science fiction. Diana Gabaldon’s first book, Outlander, was published as Cross Stitch in the UK where I read it. In fact, I met her at a book signing there. I was amazed she had never visited Scotland until after she wrote her novel. I wouldn’t have guessed and it gave me confidence to write about places and things I knew nothing about, at least until I researched, or experienced. 9. What is the one book you wish you had written, and why? The Eyre Affair by Jasper Fforde. The premise is clever, the humor cracks me up, and I love the unusual formatting. 10. What are some of the challenges you’ve had to overcome as an author? While I lived in Aberdeen, I had viral encephalitis, an inflammation of the brain due to a virus. I don’t remember six weeks of my life. I had numerous seizures and memory loss. I couldn’t read. I couldn’t follow a simple sitcom. Time passed. I healed. I got most of my memories back and my short-term memory improved enough that I could read a book again. Prior to the illness, I took several writing courses and submitted some short stories. I felt I was really making progress and on my way to becoming an author. It took me a long time to get the confidence to write again, but eventually I did. My co-author suggested a writing exercise. She sent me the first paragraph of a story which I added on to and sent back. This eventually became our first book. 11. What are some of your triumphs as an author? Getting published will never cease to give me joy and a sense of accomplishment. I’m thrilled that my first solo book, Kilts and Catnip (Book 1 of The Shrouded Isle Series), is coming out soon. I’ve been on a book panel and multiple book signings. Maybe someday, it will all seem commonplace, but now, every little authorly thing elates me. 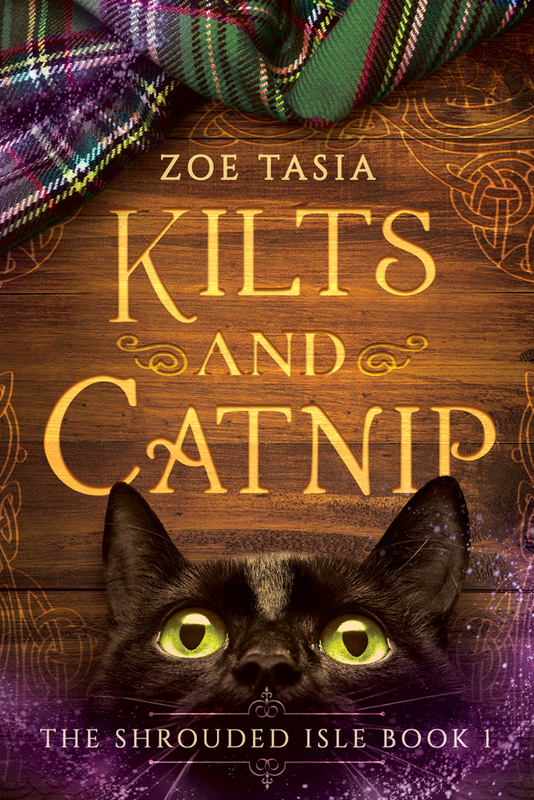 We are lucky enough to get the very first look at the cover of Kilts and Catnip, Zoe Tasia’s first solo publication! 12. You have a book blog where you also review/discuss books. What prompted you to start blogging about books? Do you have a favorite genre and why? At some level, I knew reviews were important, but I didn’t start writing them until I read a book by a new indie author and saw that he had just a handful of reviews. I couldn’t believe someone that wrote so well didn’t have more fans, so I wrote a review of his book to get the news out. I began a blog shortly before Daisy Dukes came out and quickly discovered that I’m not a big blogger. Since I already wrote reviews, I started posting them on my site. I enjoy fantasy the most, where anything can happen. 13. What was the first book you blogged about, and why? The first book I blogged about was Thicker Than Blood by Andrew Dudek. He didn’t have many reviews plus he had a couple of bad ones which can bring down the star rating quite a bit. I liked the book and wanted to be supportive. 14. What is your greatest passion? Reading and writing, of course. Cats, … I’m bonkers for cats and follow Catlady on social media. 15. Do you have other talents or hobbies? I’m a bit of a fitness freak. As the kid that was the last one to be picked for a team, the fact that I ran a marathon amazes me. I love dancing and took classes as a child. I used to Greek dance with a group, but after I tore my meniscus, I gave it up. I tried belly dancing, which was great fun. 16. What are you currently reading? I’m reading a fantasy book by Rick Gualtieri, Sunset Strip. 17. Are there any new projects in your future? What’s next for you? I’m currently writing Book 2 of The Shrouded Isle series, tentatively titled Tartan and Thyme. I also plan to write Shrouded Isle holiday short stories. I have one ready to publish and several others I’m working on. I have written the first of another fantasy series that I need to edit and several projects I’ve begun and need to finish. 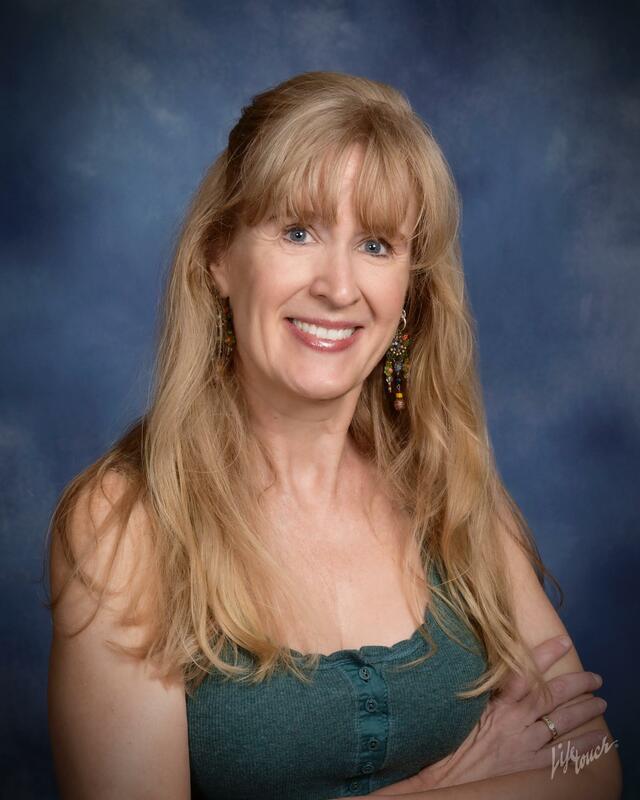 I’m exploring other genres such as cozy mystery and magical realism. The latest good one I saw was season one of the Chilling Adventures of Sabrina, but if you haven’t seen Red Dwarf or one of my “why-was-this-cancelled?” favorites, Wonderfalls, you should. What a great lady! And some awesome new suggestions for reads and series! Thank you, Zoe! And have a wonderful weekend, filled with great new books! This week I had the wonderful opportunity to get to know a little more about the inspiring Michael DeMarco. Wearing many hats, Michael is an author and Lit-vlogger who wants to revolutionize the way young people experience classic literature. By day, he takes on the world’s wrongdoings, but after hours, he’s a superhero championing the finer persuasions in life (Literature, Music, Art!). His Youtube Vlog is a must-visit for any book lover (see links below) and his commentary on how classic literature can be applied to modern life is a unique take on the power and influence of great books. Michael isn’t just someone whose videos you’ll want to watch and whose book you’ll want to read, he’s someone you’ll want to get to know on a personal level. And now you can. Who are you? Tell us a bit about yourself. I’m a civil litigation attorney with my own practice in greater Boston. As of now I will be accepting appointments from the state to represent children and parents when there has been a removal made by the Department of Children and Families. 2. You are an author. Tell us about your book. My book is a work of historical fiction, in four parts, taking place in England, the Netherlands, Indonesia, and finally Puritan Massachusetts. A Dutch prisoner of war is freed by a precocious young girl in search of her long lost father. While she seems to have freed him out of mutual interest, she makes an obsession out of corrupting him, sabotages the love of his life, while catapulting him up the ranks of the Dutch East India Company. A love of language and a desire to create. 4. What is your writer’s Achilles Heel? My weakness as a writer is that my taste is very classical, and so my style is more formal and dense than what is found on the shelves these days. 5. Your book, Redemption Lost, is about The Dutch Golden Age, and more specifically the East India Company. What is your personal connection to this historic period/the characters in your book? I was an Economics major in college and in my senior year I took a seminar level history course on Puritan New England. I am from Massachusetts and the story of European settlement in America fascinates people who live here. Redemption Lost deals with the machinations of the “first modern economy” centered in Amsterdam, the distortions of bear market saboteurs, and that colonial, geographic arbitrage that the Dutch used to acquire high value commodities from Asiatic trade. The climax is in Essex County, Massachusetts, almost too predictably I suppose, ending in a witchcraft trial, the description of which allowed me to draw upon my experience as a trial lawyer. 6. What is your favorite thing to discuss with your readers? I enjoy hearing their own original opinions that had not occurred to me, sympathies where I had not intended them, or a relation to one of the characters (it is always to Louisa, the main female character). 7. What is the most annoying question you get from your readers? 8. What are some of the life-changing books you’ve read, and why? I do not know that these books changed my life, but they evolved my thinking, each of them is full of little bits of wisdom for the reader to take away. Moliere in particular mocks everyone who takes things too seriously; arguing in every play, it seems, that to live well is the only true philosophy, and to try too hard to avoid calamity will bring it on you. Tasso is a series of allegorical delights. Plutarch is a tract pertaining to all life on earth. Goethe’s exploration of inner torment is so naked and confessional – and accurate — that it is difficult to wade through. 9. What is the one book you wish you had written, and why? I hope I will write a comedy some day. 10. You host a Youtube Vlog about Literature. What prompted you to start Vlogging about books? I’ve come to the determination that academics have ruined literature for young Americans. The purpose of my channel is to try to be entertaining; which is to say, I hope to extract the entertainment value from what is presumed to be dry material and show it to be comedic, meaningful, and even sexual. 11. What was the first book you Vlogged, and why? I started with a series of podcasts on Paradise Lost because the core themes of that book were incorporated as homage in my own book. To put it simply, I consider Paradise Lost to be the greatest achievement in all of English language literature. It contemplates everything from domestic happiness, to his own theology, to his grapple with the correct relations within a free state. By the time I was done with the vlog, I realized I enjoyed the process. It is very clarifying to sit down and map out what I want to say. I genuinely enjoy the practice of law and trial work especially. Reading, opera, classical music, the visual arts. I get out on the bike for exercise during the summer and I ski during the winter. Maria Callas: The Woman Behind the Legend by Arianna Stassinopoulos. A Maria Callas video, the rest of Dante’s Inferno, and I must make a vlog on Moliere and Goethe! Follow Michael on Twitter @HanlaBooks or subscribe to his Youtube channel here! If you are an author, book blogger or book reviewer and would like to be one of the New Kids on the Blog, contact me today! If you were born in the 90s, this post will probably seem surreal to you. Also, the idea of reading paperbacks instead of ebooks might seem surreal to you, because why, right? Ebooks are eco-friendly, easy to download, easy to access and you can store thousands of them on one device or in the cloud, all at the click of a button. What more could anyone want from a book? But people do want more from books. They want books that represent time, struggles, memories and, sometimes, even status. I know readers who only buy literary fiction, because to them it’s better than genre fiction. I know those who only buy hardbacks, because anything else should, according to them, never have gotten published in the first place. And then there are those who snob for “real books” vs “fake books” (ie. ebooks), because for some reason if it hasn’t been printed on paper, the writer isn’t a ‘real author’. And though, to some, all of these things matter, they do not matter to me. What matters, truly matters, to me, is that people read. The more they read, the merrier I am. If they happen to read something I wrote, I become ecstatic. I dare say some other writers will agree with me. We don’t write because we want to fill a reader’s prerequisites for their books, or tick a box on a publisher’s want-list. The vast majority of us write because we have something to say, and because we want you, the reader, to find out what that is. 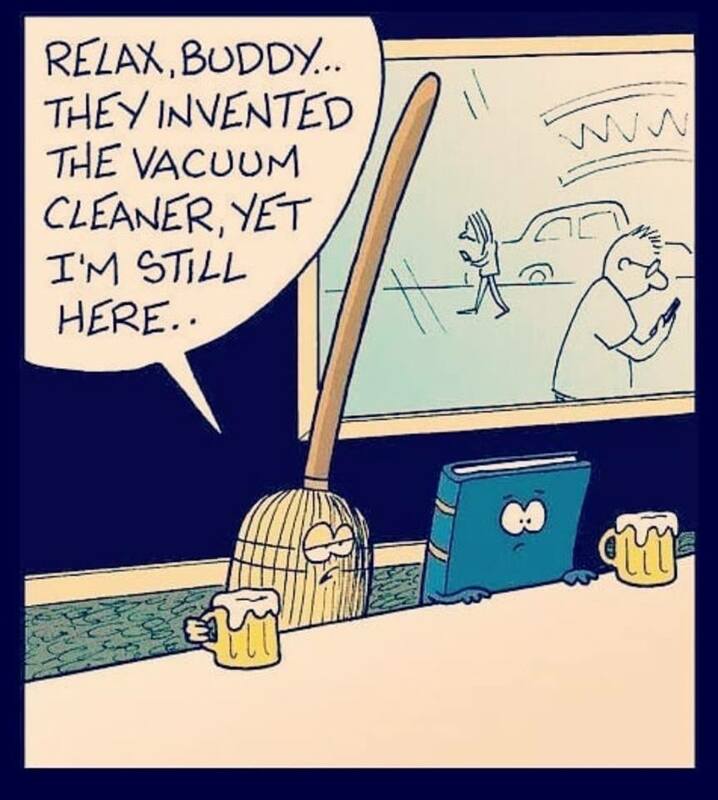 All that being said, I commiserate with lovers of traditional books (previously known only as ‘books’), because to them it must sometimes feel like technology is ruining an ancient wonder and making it disappear. Humans are alike in that they don’t take kindly to change. So while I don’t want to convince you, yes you, who were born before the 90s, who had the privilege of living in a world where everything you said or did wasn’t scrutinized on the internet and could still get a book you actually wanted to read at your local library (or still had a local library! ), I do want to introduce you to the ebook. This introduction ultimately serves the same purpose an infomercial serves TV-marketing: I want you to read my books. The name ebook or e-book is the shortened version of electronic book, which when looked at from that perspective would be a more adequate name for an e-reader, the device you use to access and read the e-book on. Ebooks come in different formats, which means they have different file-names attached to them that allow for users to read them on specific reading devices. This is, in effect, the same difference between playing Tetris on an iPhone or an Android device. The game is still Tetris. The thing you hold in your hand to play the game on is what differs. Do you need an e-reader to read ebooks? The simple answer is no. The lengthy answer has to do with what your reading preferences are. These days you can read most ebook formats on your computer or phone with the download of a simple app or via an online service such as Amazon Kindle, Scribd, Smashwords and many more. But if you want to experience and interact with the ebook in the same way you are used to with traditional books, an e-reader might come in handy. On an e-reader (there are many different kinds out there, such as Kindle, Nook, Kobo, and so forth), you can have your whole library in one place, highlight or underline passages you particularly enjoy and even write notes in the margins. Sort of. Each e-reader comes with its own set of pros and cons, and some with limitations others don’t have. What is unique about e-readers is that they have been developed to enhance the reading experience, not detract from it. Not only do they use a special eye-saving technology called e-ink, but most of them also have font-size adjusters and paper/text colour adjusters for vision impaired individuals. To add to their appeal, some of them come with backlit screens to facilitate reading in the dark and font choices, in case you just can’t read another Times New Roman word! And most importantly, they’re lightweight, so they won’t break your nose if you accidentally fall asleep while reading in bed. Seriously, though, no one at a bookshop ever gave you a book for free, did they? So while you still haven’t decided what you think of the whole ebook-revolution, why not try reading one of thousands of free ebooks to get a feel for it. You don’t have to fully adopt, you can still read paperbacks too! Nothing is stopping you from having your bread buttered on both sides! Great news! If you’re reading this blog, you already have all the tools necessary to attempt reading an ebook! Step one: Go to www.amazon.com or www.amazon.co.uk and download the Kindle reading app. 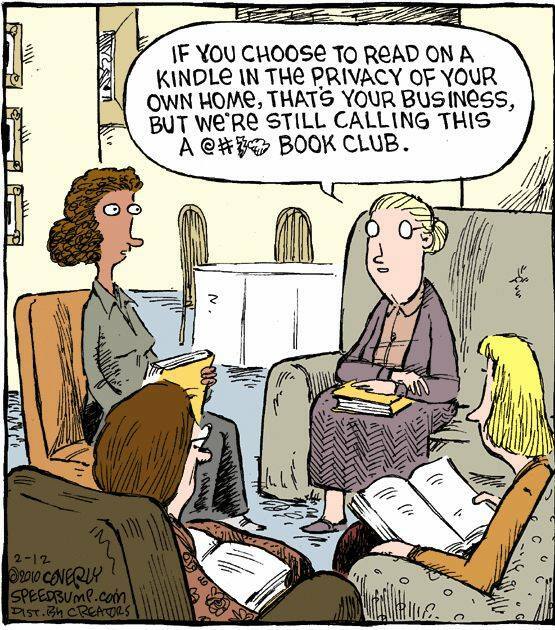 Similarly, on your phone or tablet, go to your app store and search for ‘Kindle’. Download the app. Step two: Now that the app has downloaded, you need to create a user account. In order to do this, follow the prompts on the app (it happens automatically), typing in your email address and a password of your choice. Memorize this password! Step three: Following the prompts, choose the genres/book types you generally enjoy reading. Step four: Look for the search bar (it has a tiny looking glass picture in it) and type in the words ‘Christina van Deventer’. Some books (by me!) should appear. Some of them are free. Choose your preferred title and click/choose ‘Buy now’ or ‘Buy now for free’! Step five: Wait one minute while the book of your choice downloads to your device. Start reading! It has literally never been easier to buy books and start reading them. Easier still is finding any book you want by simply searching for it. Now, go give it a try. Who knows, maybe you’ll even like it a little. If you go before the end of August (today is the very last day! ), you might even find more than one FREE title by me. Because I’m just that nice! If you want to get there faster, click here! 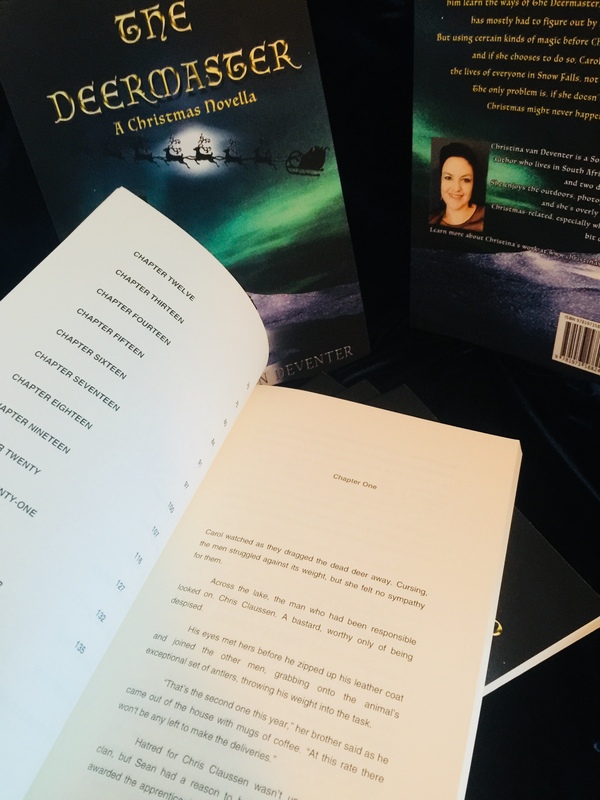 And just to prove that I am, in fact, a ‘real’ writer, here’s a picture of some paperback copies of my book, “The Deermaster”. You can order your own copy by clicking here. My short stories now available on Scribd! If you’re a reader, which I sincerely hope you are, then you’ll have heard of Scribd by now. If you haven’t, here’s the low-down: Scribd is a subscription service for all things bookish and a lovely way to pay a little for a lot of reading material. Each month, for only $8.99 you get *unlimited access to their large catalogue of books, magazines, audiobooks and documents, which can be accessed from your phone, tablet or computer at your convenience! And now, to make the deal even sweeter, my short stories are available for Scribd subscribers both in Afrikaans and English! 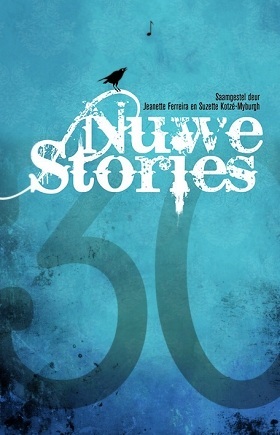 The full “Nuwe Stories” short story series (Afrikaans Edition) is available for your reading pleasure. 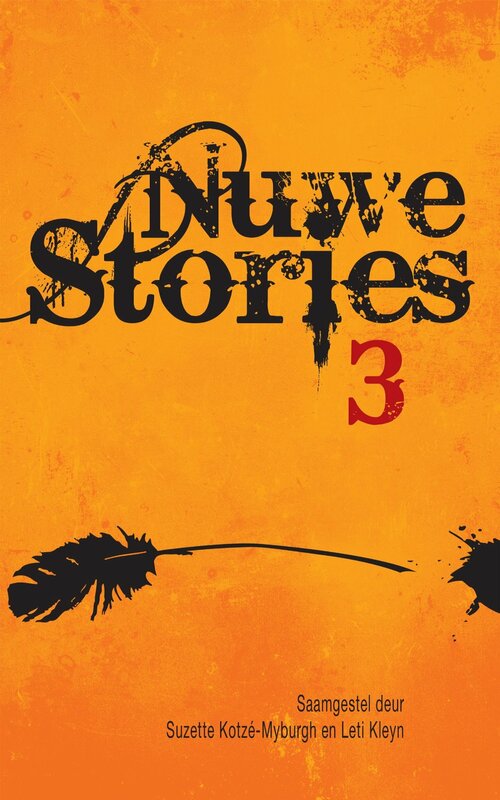 The series consists of three anthologies: Nuwe Stories, Nuwe Stories 2 and Nuwe Stories 3, each comprising a collection of Afrikaans language short stories from millennial writers such as myself. And of course my own short stories are there too. Look out for “Onder die Brug” (Nuwe Stories), “‘n Kis vir Boel” (Nuwe Stories 2) and “Utopia” (Nuwe Stories 3). Nuwe Stories, ISBN 9780798156448. Now available on Scribd! 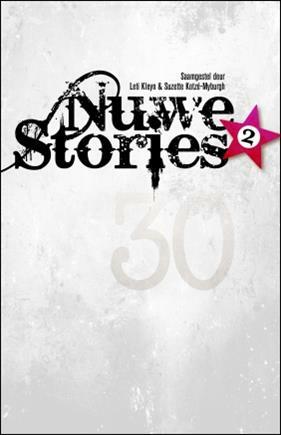 Nuwe Stories 2 – ISBN: 9780798164627. Now available on Scribd! Nuwe Stories 3, ISBN: 9780798167987. Now available on Scribd! If Afrikaans isn’t really your thing, I have a special treat for readers of the slightly more widely spoken English language. My latest short story, “Hot Wheels“, is now also available on Scribd. Hot Wheels: A Short Story. ISBN: 9780463642849. So get clicking and start reading, and remember, if you liked what you read, review and recommend! Get your Scribd subscription here. Click on the book names above to read each book on Scribd.